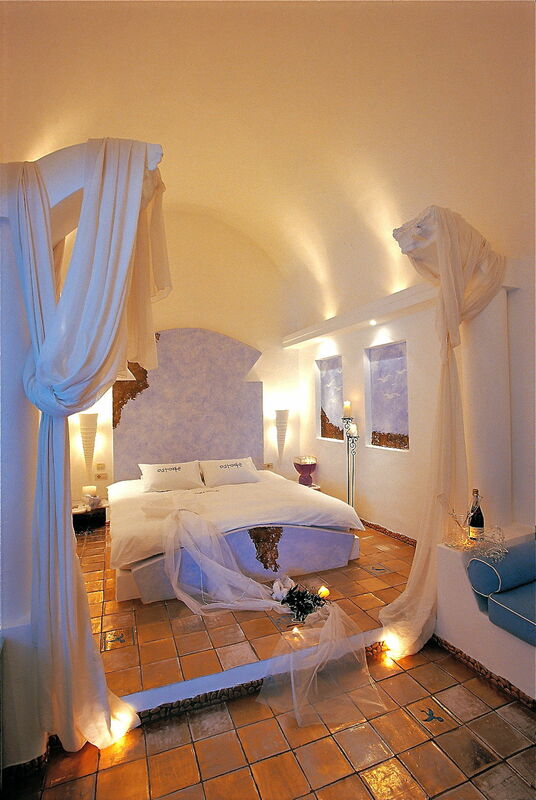 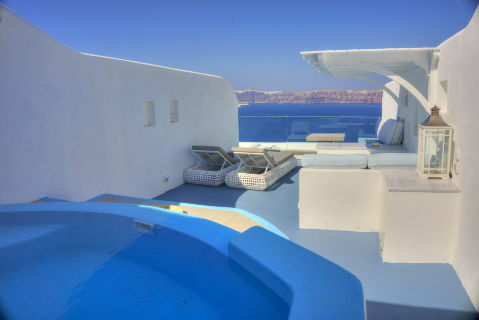 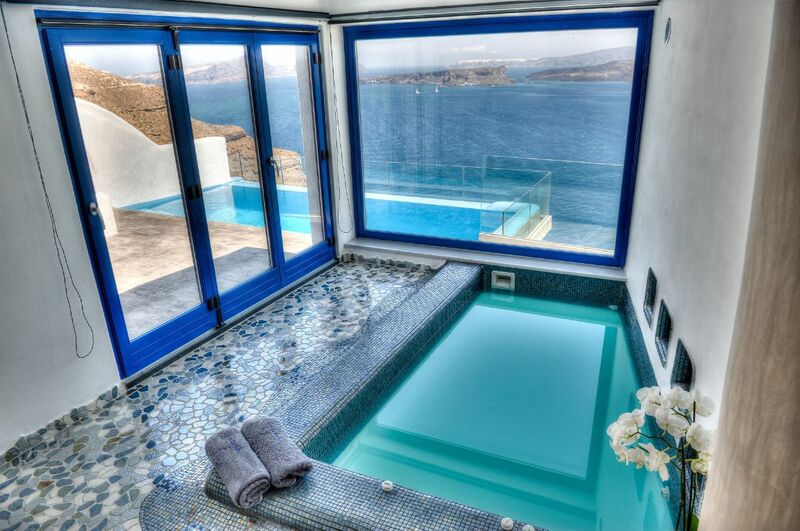 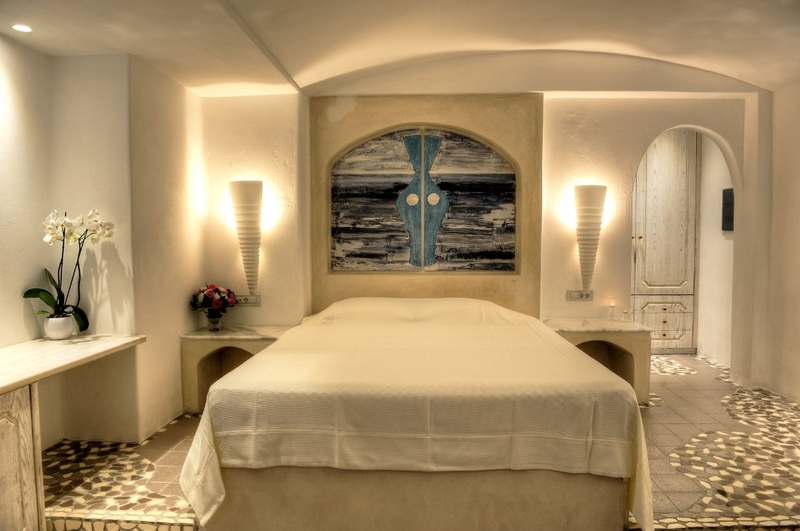 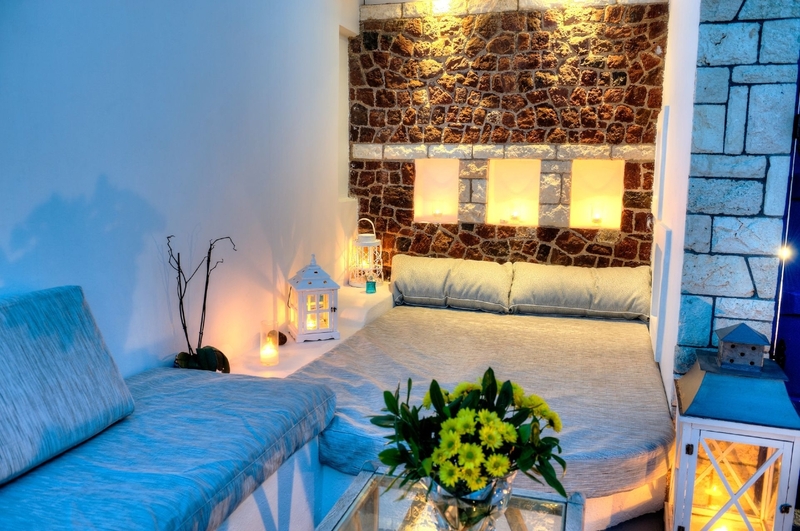 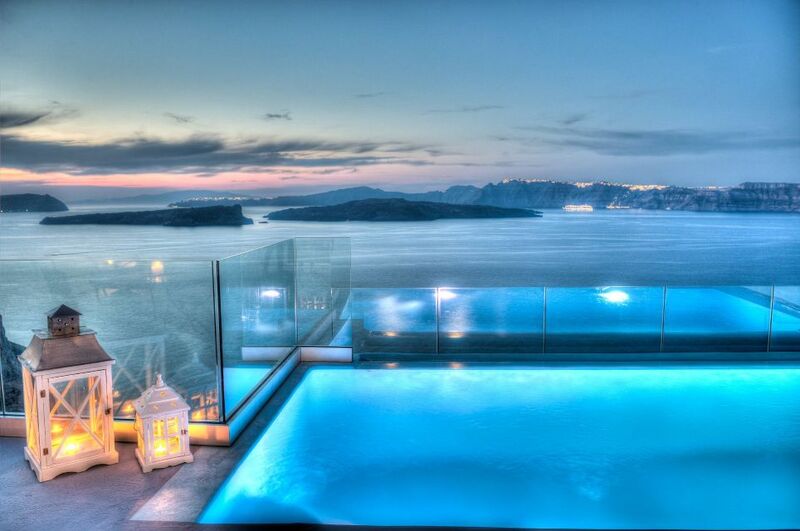 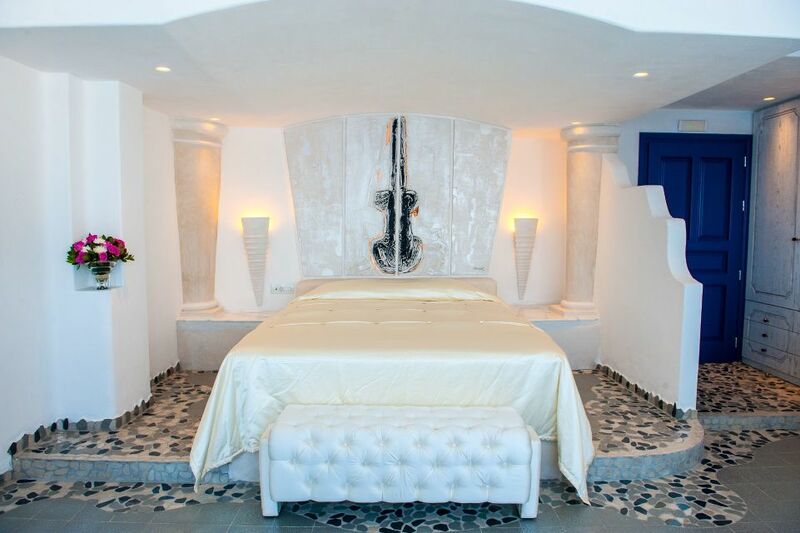 By far, the classiest, most outstanding and discreet suite to escape to in Santorini. 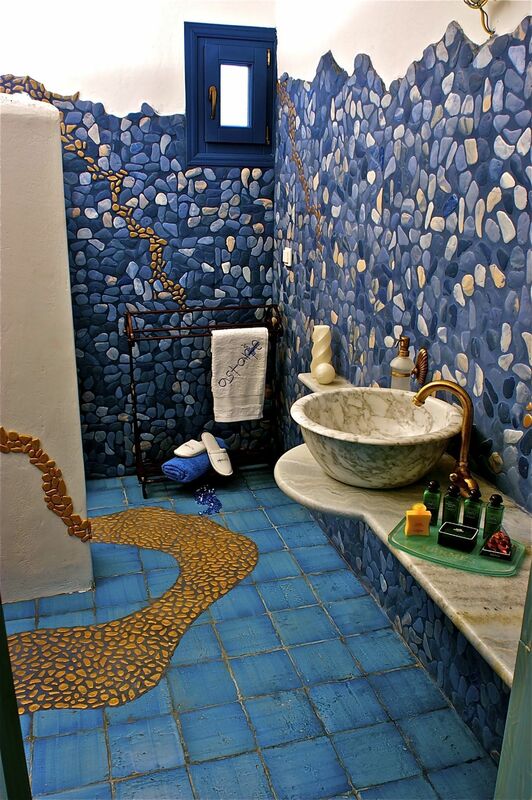 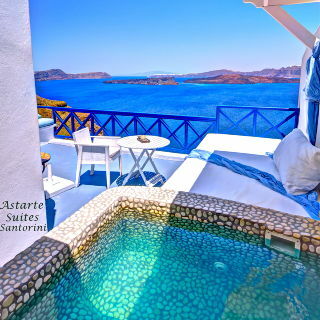 Astarte Suites is for lovers of architecture, ambiance and luxury. 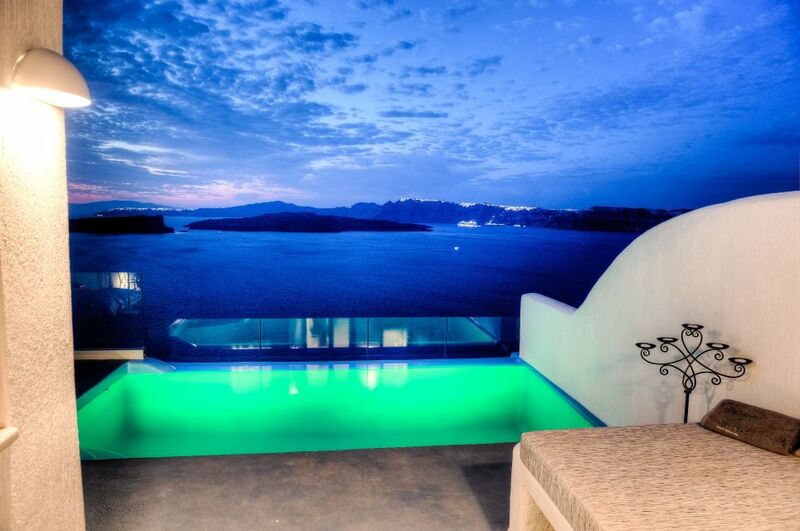 It embodies everything anyone could ever dream of. 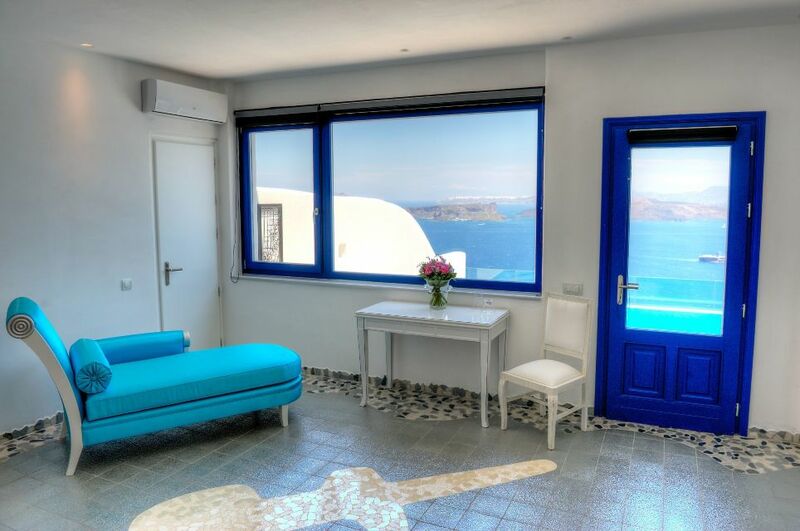 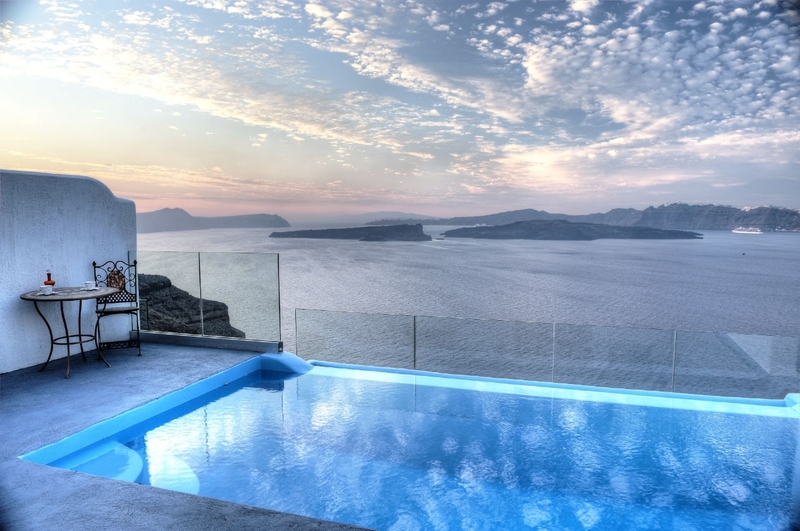 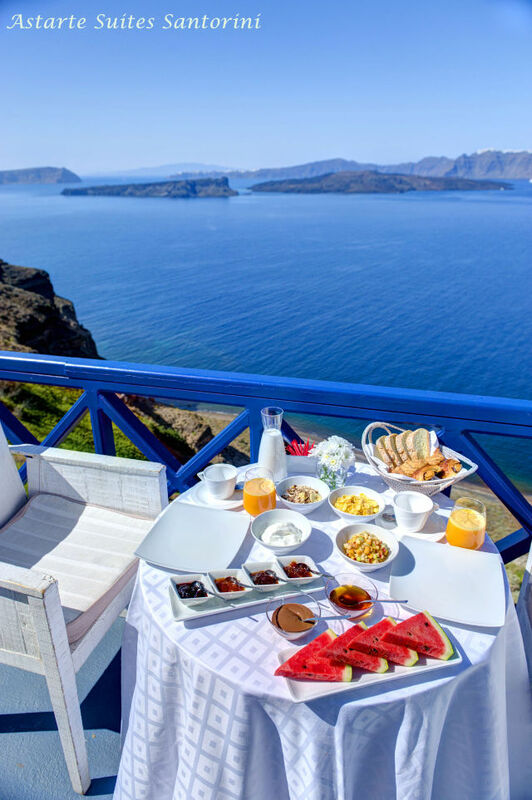 Jaw dropping views of the picturesque Caldera cliff and the dazzling Aegean sea. 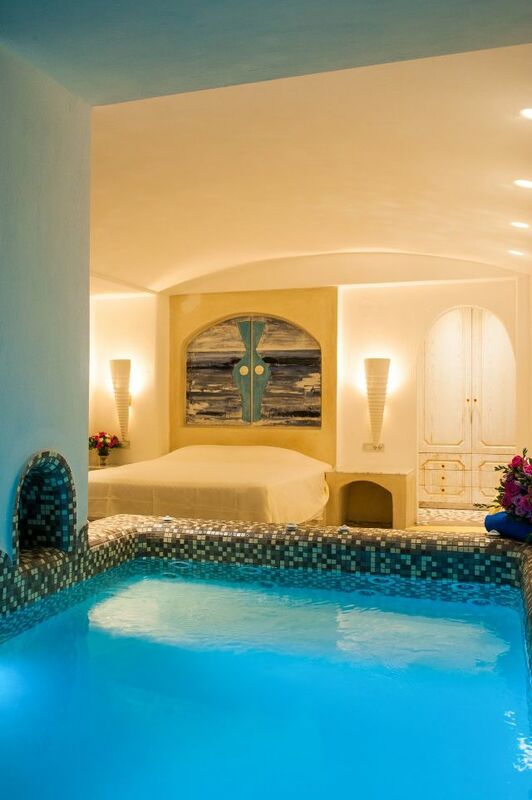 Experience unique moments of relaxation in your private chromatotherapy Infinity pool or indoor Jacuzzi. 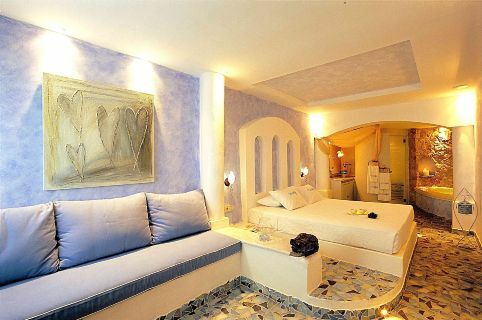 King-size Bedroom with marble bed tables, adjoining living room with spacious sitting area, bathroom with shower, heated couples Jacuzzi-pool with Swarovski crystals on the ceiling, private panoramic large terrace with Infinity Pool, sitting and dining area, large outdoor lounge with daybed having volcano, caldera and sea view.